Beaming with pride. N and her classmates were so happy they got the panel’s approval for their thesis trailer this sem. 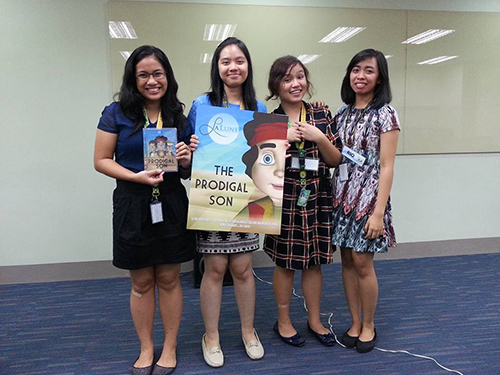 The second photo is owned by their thesis mentor, congratulating them for the successful thesis presentation. 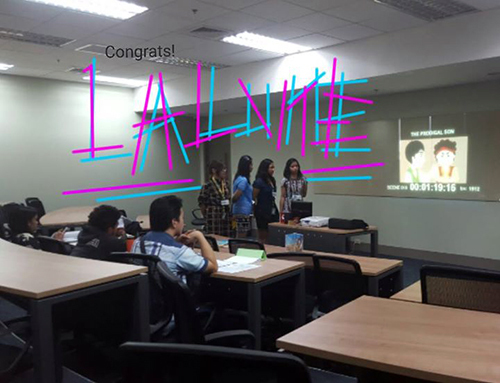 This entry was posted in Personal and tagged La Lune Productions, short animated film, thesis defense on October 2, 2015 by Yami.